I created the above card for Clarissa's 70th birthday. We had a ladies morning out at a lovely cafe in Cooroy. 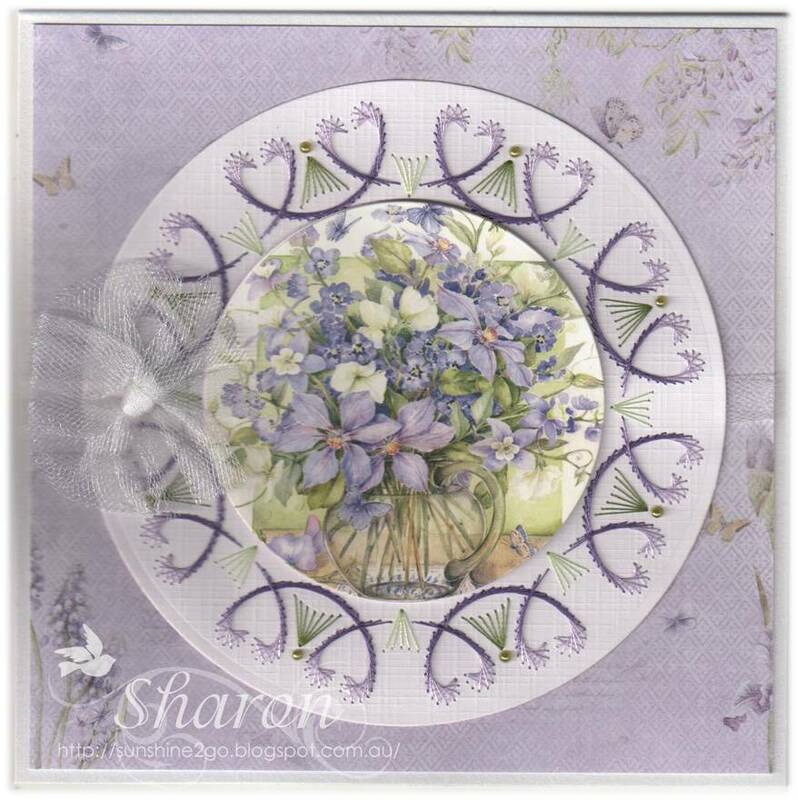 Pattern by Sjaak 3013-422 which is available from Ann's Paper Art webshop. Threads are Mettler Polysheen 0453, 2920, 3040, 5833. Image by Marianne Design MB0160. 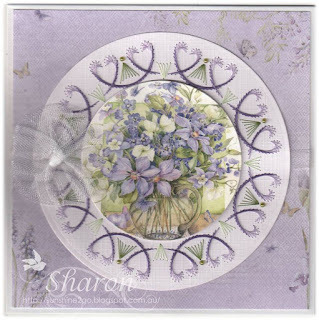 Studio Light patterned backing card. Pearls and glitter have been added. I hope that everyone is enjoying the weekend.